So here now is the critical point to grasp in understanding the story; the woman was still living her life on planet Earth!!! In other words, she was still making her spiritual wilderness journey, and therefore she still had a chance to turn from her sins (repent) in order to obtain eternal life. 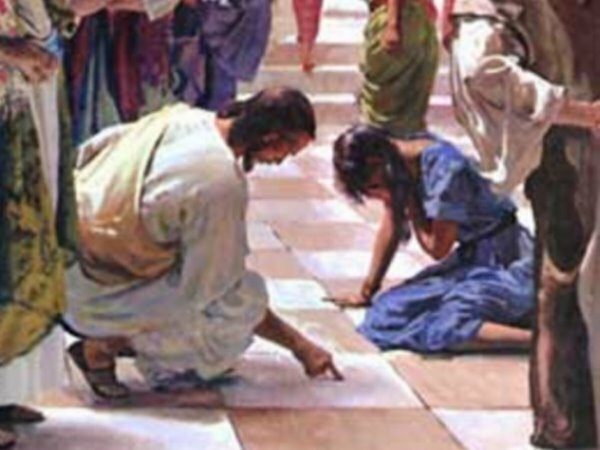 In that regard, Jesus’ message to her was; “Neither do I condemn thee: GO, AND SIN NO MORE” (John 8:11). Ah, do you see it? “Go, and sin no more” means “repent (stop committing adultery)”. Thus, God's correctly discerned message, spoken through Jesus, in the story of 'the woman caught in adultery' (with me paraphrasing) is this; “Woman, you are living and breathing on planet Earth right now, so I would never condemn you at this time for your sins, for you still have an opportunity to turn from them to obtain eternal life. So DO THAT (Go, and sin no more) and you will live! But if you will not repent, then I WILL condemn you on Judgment Day for your willful wicked sins!” And this is precisely Jesus’ message to you too today, my friend.